In June, we went on the annual Dennie family trip. We made it into town before everyone else. 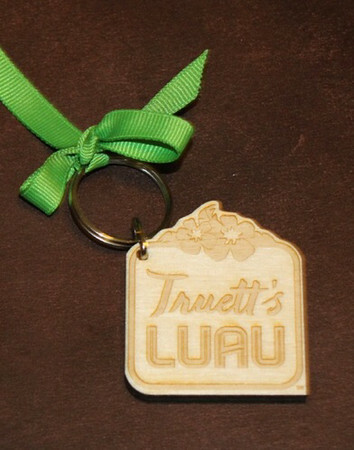 After spending the morning at the Delta Flight Museum, we drove across Atlanta to eat lunch at Truett's Luau. Truett's is a restaurant started by Chick-Fil-a's founder. It is basically a Chick-Fil-a with a Hawaiian theme. It was great practice for our trip later in the year to Hawaii. They had grass skirts, leis and musical instruments to play with. It was such a neat place and I would definitely take some of their pineapple rice right now. Here are the pictures from that day.